Dogs Luv Us and We Luv Them: Irish Dogs That Say Happy Saint Patrick's Day! Irish Dogs That Say Happy Saint Patrick's Day! We're always talking about dogs and dog breeds on the blog but today I'm doing something slightly different. 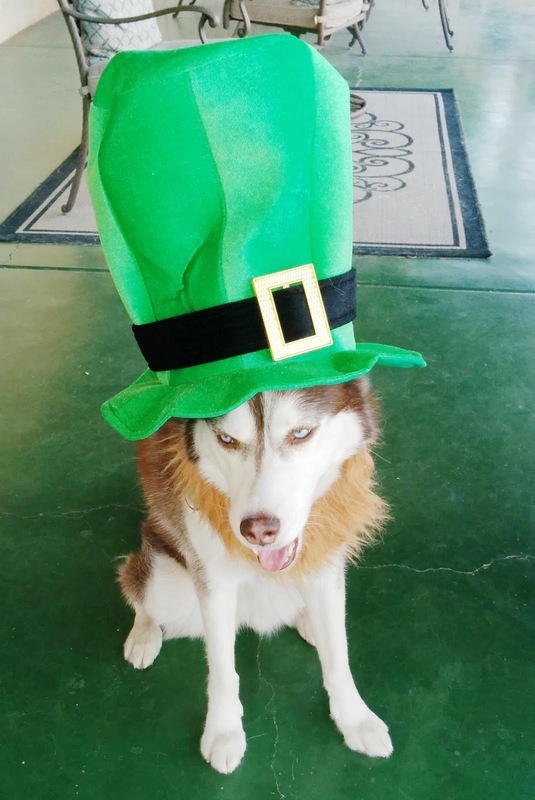 In honor of Saint Patrick's Day, I wanted to find out what the most popular dog breeds were in St. Patty's homeland of Ireland. Here they are! The Irish Wolfhound is an ancient dog breed that is estimated to be over 5,000 years old. They look menacing, but are actually quite friendly dogs! When I was around 10, my oldest sister got married. She and her husband lived in a Manhattan apartment with two Irish Wolfhounds! They were the sweetest dogs. Compared to 10 year old me they were quite huge! I loved visiting and seeing these giant, scruffy looking dogs. My sister told me the dogs used to wake them up each morning by making a soft whistling sound in their ears! Better than any blaring alarm clock, right? Manhattan is quite a dog friendly city. I used to think you could only have a tiny dog if you lived in a Manhattan apartment - which by default IS a tiny apartment, unless your rich like Donald Trump - but you don't! Large dogs can live in small spaces, it's the level of activity that matters most. Irish Wolfhound dogs may be the tallest breed in the world but they're not one of the highest energy breeds so they were quite happy living in the Big Apple. Kiss Me, I'm Irish! 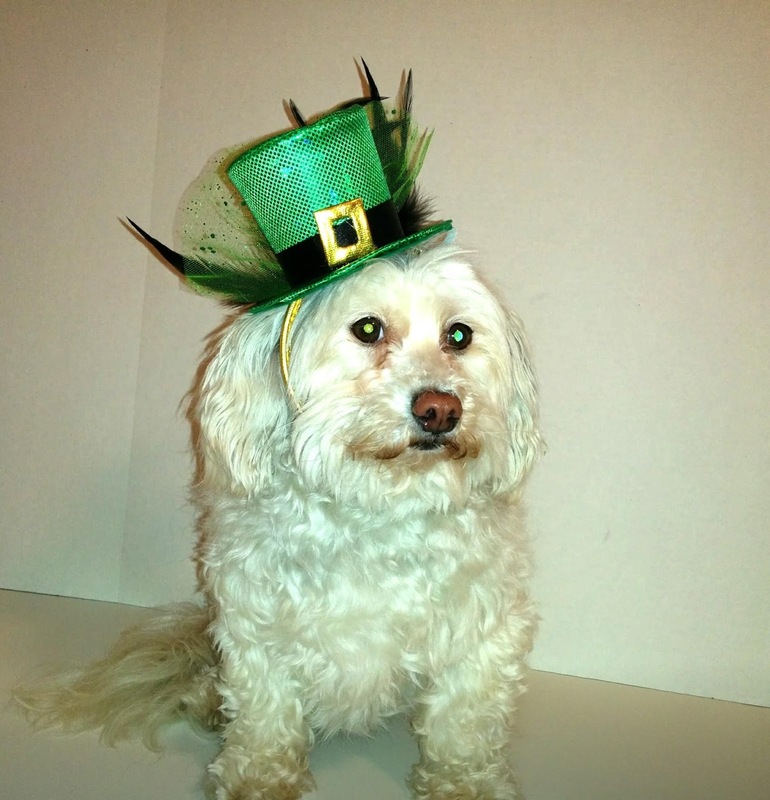 OK, so I'm really Havanese, Maltese, and who knows what else but on March 17th we're all Irish so pucker up! Irish Setter dogs are best known for their beautiful, flowing reddish brown coat. They are smart, friendly, and graceful. Despite their graceful appearance, they are high energy dogs! Growing up, our neighbor Carrie had a beautiful, sweet friendly Irish Setter. There were lots of family friendly dogs in our neighborhood, but this Irish Setter was a favorite among neighborhood kids. One of my sisters, who was close friends with Carrie, loved this dog to pieces and really wanted an Irish Setter of her own. She was always asking our parents if we could get one but we didn't. Don't feel bad though, a few years later we got my amazing childhood dog Ginny from the shelter. She was a mutt, and the best dog ever! "A certain romantic legend holds that when a Russian shipwrecked in Kerry’s Tralee Bay, an exotic blue-coated dog frantically paddled its way ashore. I just love a good romance legend, don't you? So it seems the original Kerry Blue Terrier that made it's way to Ireland, was something of a ladies man! The Irish Water Spaniel is one breed of dog that's a real water dog! They're similar to the Portuguese Water Dog just like Bo, the Obama's Presidential Pooch. Both breeds are good with families, but the Irish Water spaniel is reportedly easier to train and is easier in terms of grooming needs. The Irish Water Spaniel came to Ireland in the early 19th century. They are a fun loving, clever breed of dog. The Irish Terrier is a strong, muscular little breed of dog with a coarse reddish brown coat. Of the 4 Terrier breeds from Ireland, this is the only one with a red coat. Irish Terriers are super active dogs with a feisty temperament! This Terrier will keep you on your toes, so good training is a must. To show you how tough and smart they were, Irish Terriers served as messenger dogs and sentinels during World War One (WWI). This is no lap dog! The Wheaten Terrier is a small, athletic dog. They're extremely friendly and fun loving dogs. They're not super high energy, a moderate amount of exercise is great for them. In typical Terrier style they learn fast but need a dedication to good training. They would be a good choice for apartment living and families. First off I have to say that I just love the name of this dog; Glen of Imaal. It sounds so exotic! Like most Terriers, this breed of dog is small but muscular and packs a big personality. They are smart, driven dogs with a very high prey drive so if you have small pets in the home exercise caution. An interesting fact about this dog breed is that they tend to live for 15 years or more. That's a lot of longevity for any dog breed! The Irish Setter nearly drove this dog breed to extinction with it's popularity. It looks very much like the Irish Setter but instead of being all red in color it has beautiful red and white markings. Like the Irish Setter, the Irish Red and White Setter is good with families and is a high energy dog that needs a lot of exercise. The Irish Lurcher is an ancient breed, a sighthound that is usually some mix of Greyhound, Collie and Terrier. Lurchers were hunting dogs. In the middle ages, only the nobility could own and breed purebred sighthound dogs such as Wolfhounds, Greyhounds, and Deerhounds. Supposedly, this breed was created in the 14th century to circumvent British rule that prohibited "commoners" from owning established sighthound dog breeds. Today, many of these dogs end up in shelters and rescues due to brutal hunting rituals and abusive ownership. "Collie" is an old Celtic term that means "useful dog". The Irish Toy Collie is a smart (aren't all collies smart?) energetic breed with a friendly personality. This dog looks like the Shetland Sheep Dog, or Sheltie, but is not a the same breed. It is smaller than the Sheltie. Irish Toy Collies are friendly, sweet dogs that love people and love to cuddle. They make a great companion dog. Learn more about Irish dog breeds and see beautiful photos of them on Irish Central's web site, which was one of the main sources for this blog post. Let's connect on social media. Follow Me on TWITTER! Which of these wonderful Irish dogs would you want to invite over for a plate of Corned Beef and Cabbage? Let us know in the comments!! Note: I am not a Veterinarian, Vet Tech, or pet healthcare professional of any kind, but my research shows that corned beef is NOT healthy for dogs at all. Cabbage is a dog friendly food in limited quantities. This was merely a tongue in cheek statement. 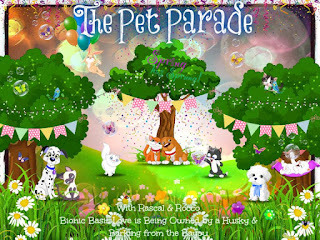 THIS IS THE PET PARADE BLOG HOP!! THANKS TO RASCAL AND ROCCO, BARKING FROM THE BAYOU, LOVE IS BEING OWNED BY A HUSKY, AND BIONIC BASIL FOR SPONSORING THIS HOP! We think red and white Siberians should be considered Irish ... don't you? Irish Terriers are one of my dream breeds! My best friend in elementary school had an Irish Setter named Kelly. Oh, yes, the wearing o' the green day is coming. We didn't realize there are so many irish dog breeds. I didn't know there were so many Irish dogs! My hubby used to have an Irish setter. He confirms the high energy part, and loves to tell stories about Randy who lived with him on a farm. Do You Dread Trimming Your Dog's Nails? My Dogs Want To Meet YOU!